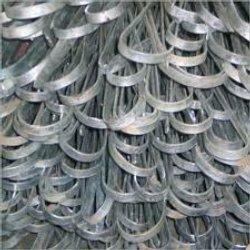 Galvanized Earthing material is manufactured by us for use in various projects. 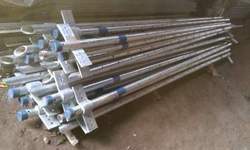 The earthing material is of good quality required for Project purposes. All testing and checking facilities are available at our end to ensure good quality of material. Owing to our vast industry experience, we have come up with Earthing Components for our treasured customers. The offered components are designed accurately with the aid of high-grade materials that are procured from established vendors of the industry. With their precise dimensions and durability, these components are highly demanded by the customers. Leveraging our rich industry expertise, we have come up with Earthing Strip for our esteemed customers. The offered strips are designed keeping in mind the varied earthing needs of the customers and are highly regarded for their accurate dimensions. Owing to their excellent resistance properties, these strips are much regarded by the customers.